RobinVanParkway had the most liked content! FT: Plymouth Parkway 5 (Farkins 48, Smith 53, 70, Carter 68, Annear 79) Buckland Athletic 1 (Groves 61) A bumper Good Friday crowd of 421 arrived at a positively tropical Bolitho Park, the majority hoping for a Parkway win to see them maintain their title challenge in what was their final home game of the season. On an immaculate playing surface befitting the first game of the season rather than the last, Parkway made 3 changes from last Saturday's dour victory at Odd Down (Bath). With midfield trio Shane Krac, Jamie Lowry and Les Afful all unavailable, Aaron Bentley returned from injury to central defence, Christian Pople to his customary midfield holding role and normal central defender Nick Milton in an unaccustomed central midfield position for him. The game got off to a cagey start with Parkway the first to show with Ryan Lane being caught narrowly offside after a fine through ball from Rob Farkins. Parkway, now looking the sharper and dangerous on both flanks, created the first chance after good work between Adam Carter and Mike Smith ended with Lane heading wide when well placed. With Parkway now dominating possession and forcing Buckland on to the defensive, Pople, still looking for his elusive first goal of the season, shot wide on 12 minutes. 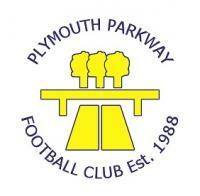 Parkway continued to apply pressure but were unable to create any clear cut chances with their final ball lacking quality and Buckland defending without too many alarms. Playing on the break Buckland had their first effort on 28 minutes with Ryan Bush and Jordan Ewing combing well with Ewing shooting wildly over from around 15 yards when in the clear. With Pople and Milton shoring up midfield and constantly breaking up play, Buckland were unable to create much forward momentum with Ewing being booked on 34 minutes for a series of persistent infringements. Despite Lane, Smith and the lively Teigan Rosenquest seeing plenty of the ball in wide areas, Buckland continued to compete and defend well with Parkway lacking the necessary creativity to create many openings. A pretty, nervy, ordinary half with neither keeper being unduly tested and most of the action confined to the congested midfield area with few chances being created. Jordan Trott, who had been feeling unwell, was replaced at half time by a still not fully fit Mikey Williams with Lane dropping into left back and Williams slotting into his usual midfield role. Williams almost made an immediate impact on 47 minutes when a trademark mazy run into the box saw his curling left foot shot being superbly pushed behind for a corner by Kenny Griffiths at full stretch. From the resultant corner Parkway took the lead. With Buckland unable to fully clear, the ball dropped to Farkins on the right some 15 yards out who drilled a low shot on target through a crowd of legs to the far post where the predatory poacher Carter claimed the final touch, as good strikers always do! Subsequent video evidence, not VAR, has credited Farkins with the goal. (I'll let those two argue the toss over that)! Parkway were now a completely different outfit than in the first half showing more creativity and penetration and they doubled their lead on 53 minutes. Good work on the right between Rosenquest, Williams and Sam Hillson saw a superb cross from Hillson reach Smith who climbed highest to power home an unstoppable header into the top corner from around 10 yards. Buckland continued to play on the break and arguably against the run of play pulled a goal back on 61 minutes with their first effort on target. A free kick around 25 yards out was cleverly bent low around the wall by Richard Groves beating a despairing Kyle Moore at his near post. Parkway regrouped, picked up the tempo again and restored their two goal lead on 68 minutes. A flowing link up move between Carter, Williams and Hillson ended with Carter showing good strength to hold off his marker in a central position and prod home from around 6 yards. With Rosenquest continuing to look to probe an opening and Pople and Milton continuing to work hard in midfield, Parkway increased their lead on 70 minutes. Good link up play between Williams and Carter on the right saw Carter show neat footwork and control close to the touch line and send a pinpoint cross to Smith who also showed good control by turning and firing home from around 12 yards. Jordan Annear replaced the impressive Carter on 73 minutes with Lloyd Gardner being booked for an unnecessary and nasty challenge on Pople shortly after. With Buckland rarely threatening, the Parkway defence looked solid and comfortable with Moore a relative spectator as Parkway went further ahead on 79 minutes. Excellent link up play between Williams and the pacy Annear saw the latter work himself some space, turn sharply and fire home unerringly into the bottom corner from around 12 yards. A rare Buckland break forward saw a Chris McPhee shot from distance comfortably held by Moore. Having been on the pitch for around only 37 minutes and arguably changed the course of the game, the substitute was then substituted with Stewart Yetton replacing the influential Williams. In a rare Buckland attack, Jamie Richards saw a long range strike pushed away for a corner by Moore on 83 minutes. With Buckland heads visibly dropping, Parkway continued to surge forward and the final action saw Griffiths smother a low cross from Yetton after a neat link up play with the lively Annear. After a fairly even, uninspiring first half with Parkway unable to create too much or show the necessary creativity, the half time substitution completely changed the game with Parkway dominating proceedings and well worthy of their victory. Clinical finishing, creative and tenacious in midfield and solid and comfortable in defence resulted in a complete second half performance. With Willand Rovers and Bitton winning 5-1 and 4-2 respectively it's as you were at the top with Parkway (89) still a point ahead of Willand and Bitton with Willand still having a game in hand. Parkway now travel to Shepton Mallet on Monday before going to Chipping Sodbury, next Saturday for their final league game with all 3 teams still in the mix. By a strange twist of fate, Chipping Sodbury were the last team to defeat Parkway on 5 January prior to their 22 match unbeaten run. With Willand's game in hand at home to Bridgwater Town on Wednesday, depending on Monday's results, there could well be a few of the Parkway faithful making the 58 mile journey up the A38/M5 to observe proceedings. Your correspondent may well be one of them.